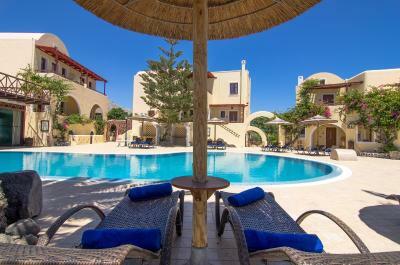 Lock in a great price for Smaragdi Hotel – rated 9.1 by recent guests! Great location away from heavy traffic and crowds. 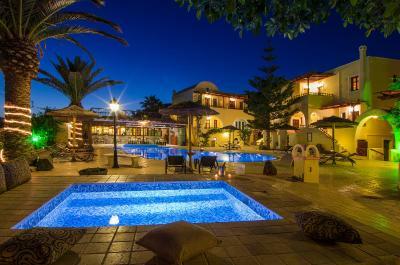 the staff was very friendly and helpful, the pool and the location were great. Close to beach. Good access to lounge chairs at cool location. Staff very friendly. 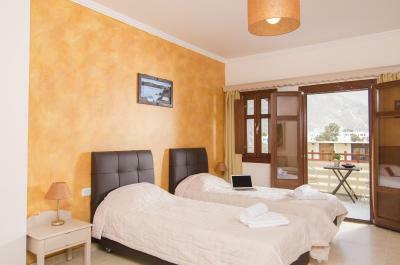 Immaculate hotel with lovely staff, well located for beach and restaurants. 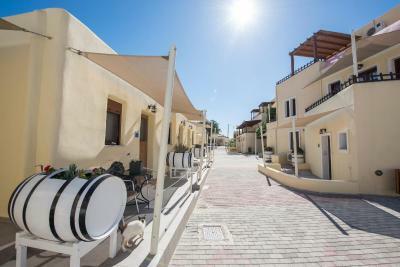 Great location with an easy walk to the beach and bus station. Staff were very friendly and helpful. Nice pool and bar area. Room was large with three single beds. Bathroom good size. We had a great balcony overlooking the pool with a view to the beach. Hotel had access to chairs and umbrellas at the beach through two restaurants. Good place for our pre-teen son. Virginia, Maria and George were very welcoming. Free shuttle from the airport if you book in advance. I really recommend staying in this area if you have kids. Great hotel - we would stay here again. It was so close to the beach and very clean.It was a quiet and sunny room. The staff was so accommodating, professional and friendly.They really made me feel like I want to come back to Greece.Thank you so much!! Very firendly and helpful staff. Superb clean! Relaxed armosphere. Our stay at Smaragdi was phenomenal. Everything was lovely! The Smaragdi staff was so kind and hospitable. 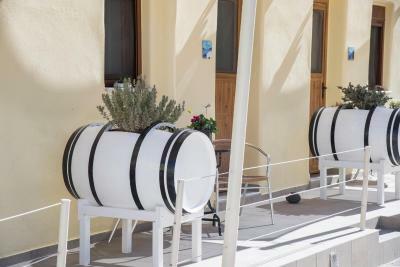 They welcomed us warmly and provided us with all the information needed to enjoy our stay in a Santorini. The accommodations were wonderful. Everything was very clean and easy to use. The pool area is stunning. This hotel is very close to the beach and to many restaurants. We had the most wonderful time and we would have loved to stay longer. It was amazing. The accommodation was excellent. The staffs was great. It is a nice hotel although it was low season and there were few tourists along the beaches. It is far from Thira town, about 30 kms so it took us about 30' to reach the town from Perivolos. We rented an ATV and 1 of the nights someone stole our gasoline because the hotel does not have a private parking lot and we had to park it in an open air parking lot across from the hotel,which was very dark. The next morning we were out of gas and had to struggle to reach the gas station. The hotel staff is very helpful and they gave us an informative talk about the area the day you arrive. The hotel is near the restaurants and bars which is a plus. The breakfast is a little poor. There should be more variety of things. If you go during summer time this hotel is a very good option. Smaragdi Hotel This rating is a reflection of how the property compares to the industry standard when it comes to price, facilities and services available. It's based on a self-evaluation by the property. Use this rating to help choose your stay! 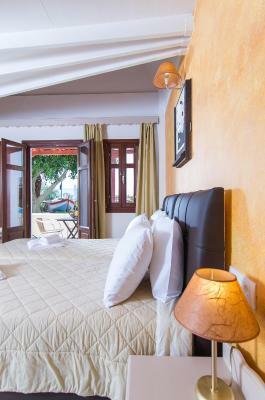 Smaragdi Hotel lies just 150 feet from the black beach of Perivolos. 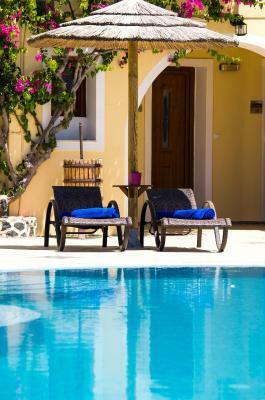 The Cycladic-style residence offers a large swimming pool with pool bar, and a hot tub. Guests benefit from free one way transfer upon arrival for reservations of minimum 2 nights stay. Departure transfer is also provided upon charge. 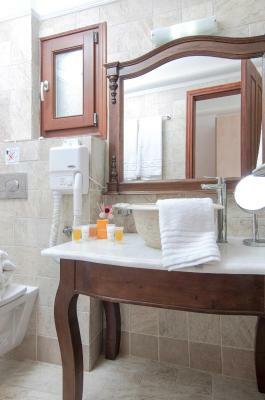 Each of the elegantly decorated rooms and suites comes with a flat-screen TV, fridge, kettle and free WiFi access. 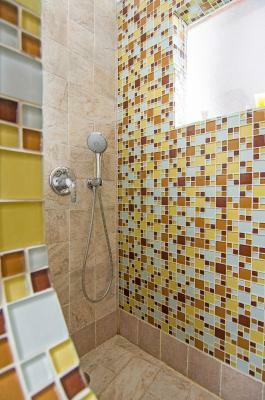 Each includes a modern bathroom with shower and free toiletries. Some feature an outdoor hot tub or a spa bath. The Smaragdi serves a colorful buffet breakfast, including fresh fruit, yogurt and omelets with feta cheese. Drinks and cocktails from the pool bar will keep you refreshed throughout the day. The courteous staff will be happy to assist you with area information, car hire and day trips. Upon arrival, guests are provided with free transfer from the airport or port. Taverns, bars and water sports facilities are available at the beach. The busy center of Perissa is at 2,650 feet. Fira, Santorini’s capital and the airport are 6.2 mi away, and buses offer connection every 10 minutes. 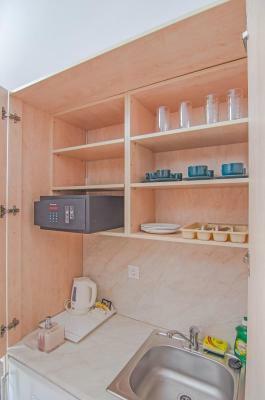 This is our guests' favorite part of Perivolos, according to independent reviews. 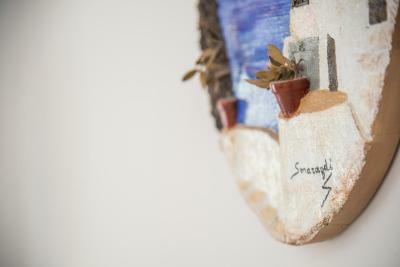 When would you like to stay at Smaragdi Hotel? 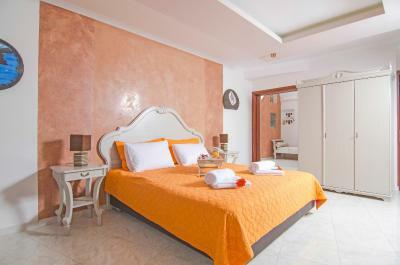 Deluxe Rooms feature a modern décor with traditional touches and are fully equipped. 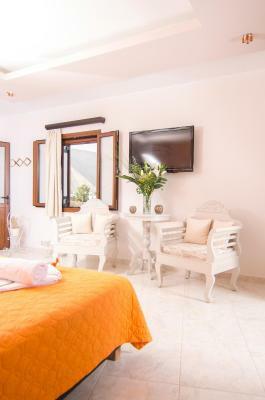 Offering a separate living room, these luxurious suites feature elegant furnishings, a flat-screen TV and bathroom with shower cabin and hydromassage. 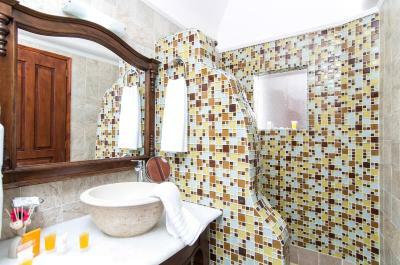 This suite features modern and stylish decoration, a private balcony with sea views and an outdoor hot tub. Including a spa bath, this suite come with a flat-screen TV, laptop-size safety box and a living area. 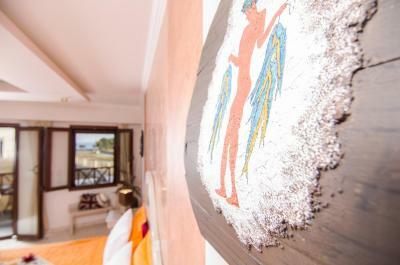 This suite is modernly furnished and offers a private balcony with sea view, a satellite TV and an outdoor hot tub. 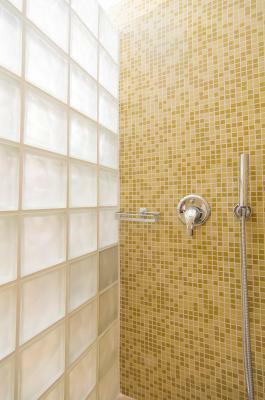 Each of these renovated rooms is located on the ground floor and has a shared or private patio. Extra bed is available upon previous request only. This spacious suite features a balcony with outdoor hot tub and partial sea view. A flat-screen TV is available. 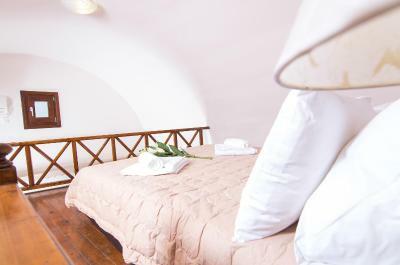 Opening to a balcony with sea view, this air-conditioned suite has a bathroom with spa bath. 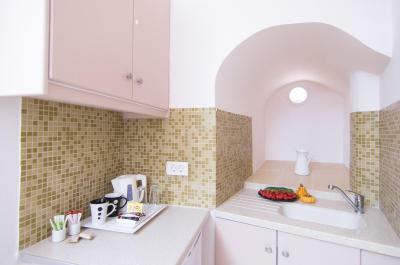 This twin/double room has a satellite TV, patio and electric kettle. 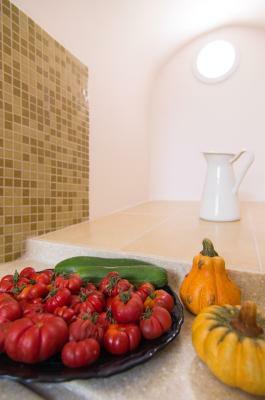 This suite is modernly furnished and offers a private balcony with outdoor hot tub. 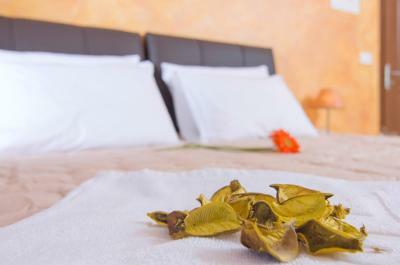 House Rules Smaragdi Hotel takes special requests – add in the next step! Smaragdi Hotel accepts these cards and reserves the right to temporarily hold an amount prior to arrival. 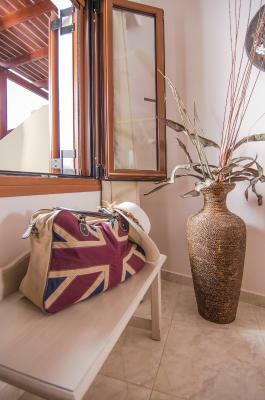 Free arrival transfer from airport/port is provided between 08:00 and 23:00 (minimum 2 nights stay is required, maximum car capacity: 8 people). 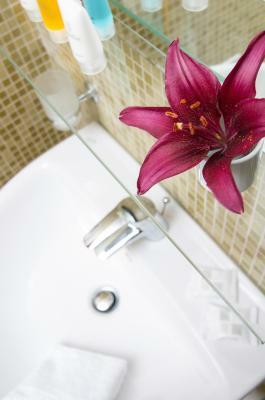 Guests are kindly requested to inform the property at least 21 days in advance if they wish to make use of this service. Hotel reserves the right to reject last minute arrival transfer requests. Contact details can be found on the booking confirmation. Please note that for reservations that are not prepaid, the 50% of the total reservation cost will be pre-authorized by the hotel (not charged). Please inform Smaragdi Hotel of your expected arrival time in advance. You can use the Special Requests box when booking, or contact the property directly using the contact details in your confirmation. I love the location near the beach and the staff were great. there's NOTHING to dislike ! The Staff was super friendly !! Location was great ! Near the beach, Beachbars, great restaurants. Hotell is super cute! oh and they give discount at restaurant Aegean, MUST GO ! absolutelly delicious food. Would deff recomend. 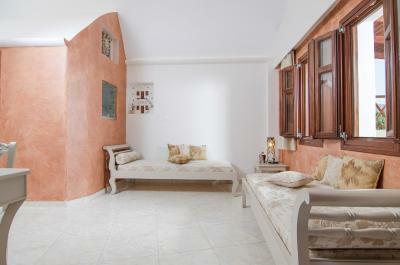 if i ever return to Santorini, i would stay at Smaragdi. good accommodation, friendly, helpful staff, excellent facilities, very good breakfast choice. Great hospitality, clean close to best. Highly recommented. Very warm welcome, lovely grounds all well kept and clean. Location was perfect for beach and lots of bars and restaurants. Ideal for exploring the rest of the island, thank you for a lovely stay. Small niggles, we asked twice not to have the towels changed every day to help save the environment but this was not actioned, soap was changed everyday too which is unnecessary. We had 2 packs of soap if we wanted to open a clean one. Housekeeping kept turning our fridge off! Small & friendly,staff very helpful especially with welcome meeting & organising car hire for us. 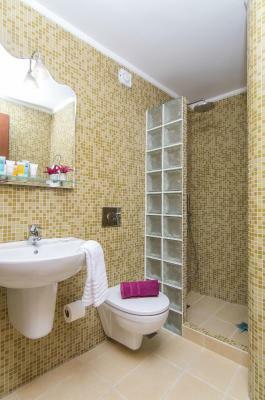 100m from seafront. Good size room with nice balcony and full size fridge with ice box/tray. The room was so dirty. Having used contact lenses from the last guest on the table beside the bed, on my pillow was blood drops which they tried to hide it and bed sheet full of old stains. Also the room was located just in front of the kitchen and staff were constantly smoking there which made the room so smelly and so loud since they were always sitting there amd talking and no privacy because they were looking at us all the time, not intentionally maybe just because they were there! Breakfast was so simple and not delicious at all even though it was reletavily expensive. 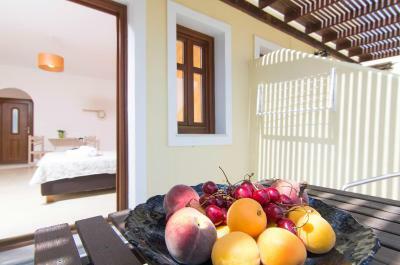 Also the hotel is located 45 minutes far from all the nice famous spots of the Island like Oia. Breakfast was yummy and they had variety of foods and fruits so you can choose any you fancy. The staff were very friendly, very nice and also politely. Especially Joe and the reception ladies, they were very helpful and made sure that we got the access and no hassle for us as well. Its like a family with close connection from each other to make sure everyone are happy and settle in. Breakfast. There are many better options around the area, including buying your own yogurt at the store and making coffee in the room. The view from the room. Couldn’t really be considered sea view since it was mainly trash cans and another hotel. The newer rooms were quieter than the deluxe room, so if you are a light sleeper I would recommend requesting the newer rooms. Also, a barking dog woke us a few times. The staff were extremely helpful and very friendly. 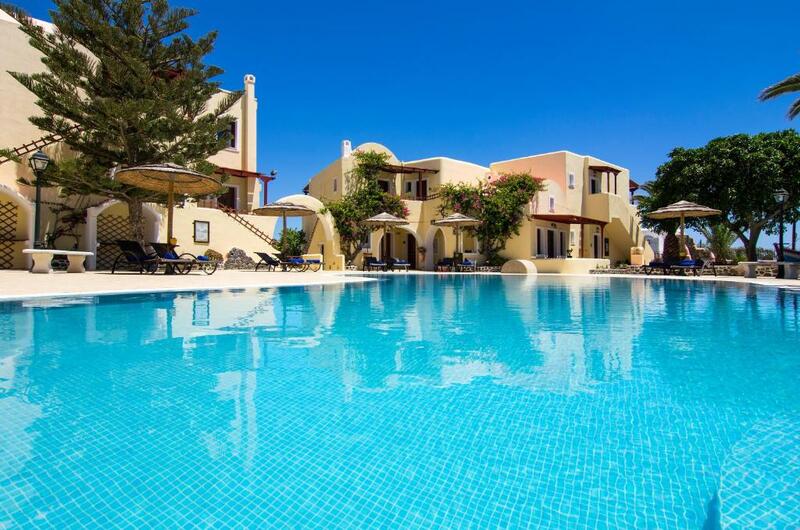 Amazing shower and hairdryer, great pool and it’s 2 minutes from the beach. Staff were all lovely. Apartment spotless and cleaned every day.